Mini DisplayPort is simply a smaller version of the DisplayPort, mini DisplayPort is mainly used on MAC computers but other manufacturers may adopt this type of connector. The mini DisplayPort to DVI adapter will allow you to connect a high definition monitor, Projector or LCD TV to a MacBook, MacBook Pro or a MacBook Air with a mini DisplayPort connection. 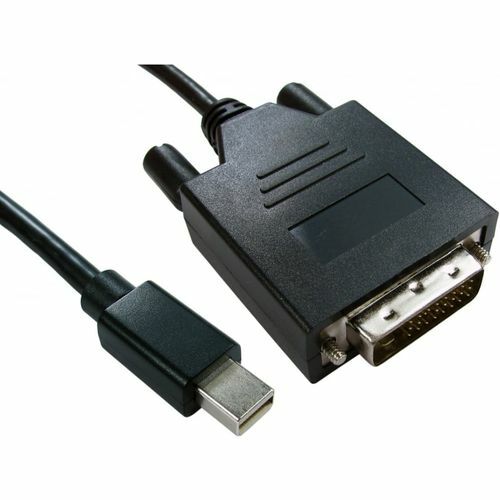 Please note that it has a DVI-D connector, this is for digital displays only.